After having some rainy days, warming up in the sun was the activity for the day. These two tree frogs clung to a pole and a stick out in the open while they slept for the day. They serenade all night long, chirping to each other. This Tiger Swallowtail is huge at 5 1/2 inches long and caught my attention as it rustled the Shrimp Plants close to where I was working. 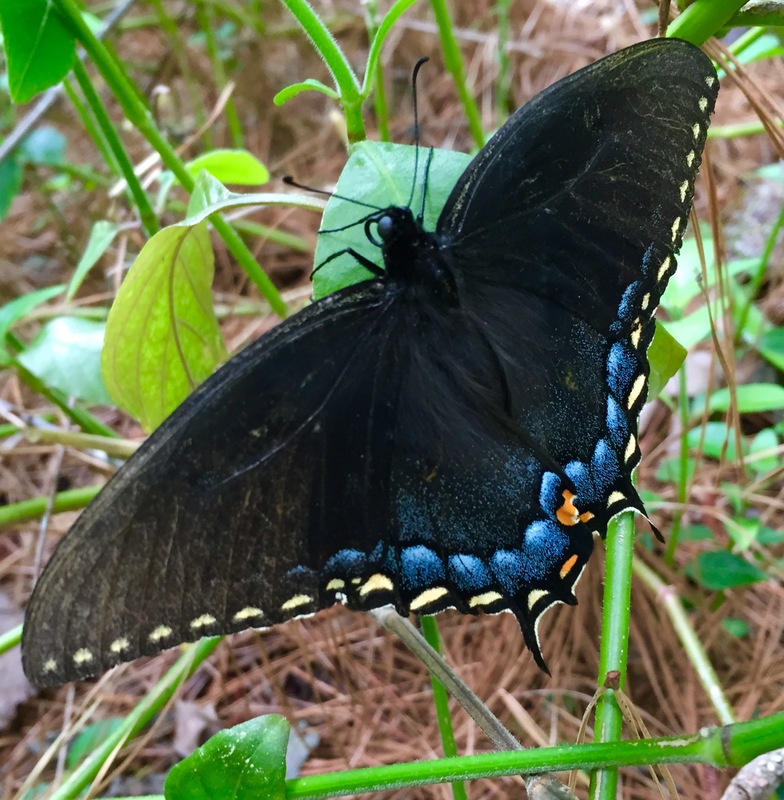 I have seen about five different kinds of butterflies so far this year. Hopefully, their numbers will continue to increase. 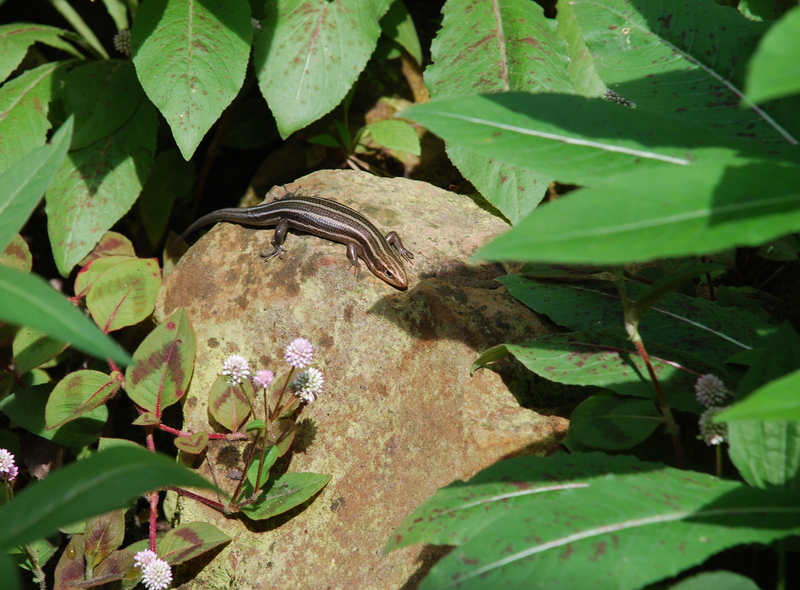 The Anoles are always warming up in the sun. The one on the right is showing off by puffing up his dewlap to warn me away. For some reason, the Skinks have been extra fat this year. This one is enjoying a hot rock. Even the Ribbon Snake was out looking for some warmth, but hurried away when the camera came out.